When I was 32, I came down with the viral infection known as shingles. The rash around my chest that lasted for about 10 days was bad enough, but the worst part was the months of pain that followed. My damaged nerves burned at the slightest contact; even a shirt brushing against my chest was painful. And even though most patients don’t experience this long-term pain, I avoided other, even more severe, complications. I’ve treated patients who’ve lost vision in an eye because the infection spread onto a cornea or nerve. While there is no cure for shingles, there is a vaccine to prevent the illness. Recently, a new version of the vaccine, Shingrix, has been released that is a clear winner over the previous shingles vaccine, Zostavax. It is safer and more effective at all ages. My advice on whether to get this vaccine is simple: If you’re over 50, the only reason not to have vaccination is a known allergy to a prior dose of Shingrix vaccine. Shingles is at the least a painful rash, and at worst can cause lifelong pain and even blindness. Shingles is an infection caused by the same virus that causes chickenpox. A person’s first exposure to this virus, usually as children, results in chickenpox and the many itchy blisters that characterize the illness. Those who catch chickenpox recover from the illness, but their bodies are never truly rid of the virus, which is kept in check but not eradicated. Decades later, when the immune system is weakened due to certain medications, infections or the normal aging process, the virus can re-activate and cause shingles. It was unusual for me to get shingles so young; the majority of shingles victims are older than 50. Most people who get shingles have a painful, blistering rash on one side of the body. Because shingles relies on the weakened immune system of its host, it is generally not transmitted to someone who has had chickenpox. But someone whose immune system has never seen the virus — who has never had chickenpox, in other words — can catch chickenpox from a shingles victim. For more than a decade, our best vaccine against shingles has been a mixed bag in terms of effectiveness. It is about 60 percent effective for people between the ages of 60 and 69, but declines to 20 percent effectiveness for those 80 and older. That’s especially important because the complications of shingles tend to worsen with age. Finally, because this form of the vaccine is a weakened version of the live virus — as many vaccines are — it is risky for people whose immune systems are compromised because of AIDS, cancer or other health problems. That is because live virus vaccines can actually cause infection in the immune-compromised host. This isn’t one of those new medicines that only offers small benefits over a previous version. Instead, it offers major benefits over the older vaccine. While the previous vaccine uses a live virus to prompt the immune system to create antibodies that defend against the virus, the new Shingrix vaccine contains no living organisms, so cannot cause viral infection even in a severely immune-compromised host. Secondly, Shingrix is manufactured in yeast cells, by recombinant DNA technology. No aborted human fetal cell lines are used to make this vaccine. This removes a religious objection to the prior Zostavax vaccine. Finally, Shingrix is much more effective at producing an immune response than the older vaccine. 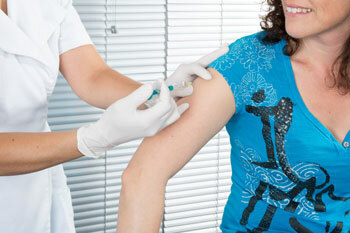 Even among adults older than 80, the vaccine is more than 90 percent effective. For all these considerations, the Advisory Committee on Immunization Practices, a group of experts from the Centers for Disease Control and Prevention, has recommended that this vaccine replace the older vaccine product. What are the risks and costs? Virtually no medication is without some risk, though the side effects of this new vaccine are relatively mild. Because it requires an injection into the muscles, most people who receive it will have localized pain and swelling at the injection site for a short time. Overall, about 1 in 6 people who received this vaccine experienced side effects that kept them from regular activities, though symptoms went away on their own within about 2 to 3 days. This vaccine also requires two doses be given a few months apart. The vaccine’s manufacturer is charging $280 for both doses, though the cost could vary. At that price, a recent study in the Journal of the American Medical Association found the new vaccine is likely to be cost-effective, meaning its health benefits outweighed the financial costs. The company that makes the new vaccine says most insurance plans cover it, though you should check for yourself to be sure if you’re covered. How can I get this shot? If you’re older than 50, it’s a good idea to ask your family doctor about getting the new shingles vaccine, which Beebe began offering in early 2018. Alternatively, you can schedule an appointment with my office nurse to receive the vaccine if it is not available from your own doctor. 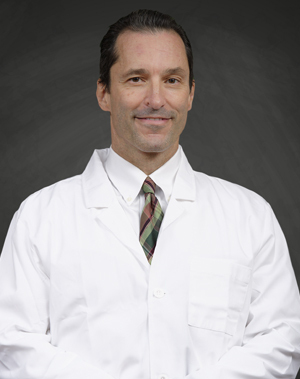 Scott Olewiler, MD, is an infectious disease specialist who is board certified in infectious diseases. He received his infectious disease training at The Temple University Department of Infectious Diseases in Philadelphia, and has been practicing in Lewes since 1996. To learn more about the services offered at Beebe Infectious Disease and Travel Medicine, call (302) 645-3232 or visit www.beebemedicalgroup.org/locations/beebe-infectious-disease-and-travel-medicine.